Oh yes, I have another product review to share! This one is another very delightful necklace! It is simply stunning; wait till you see it. 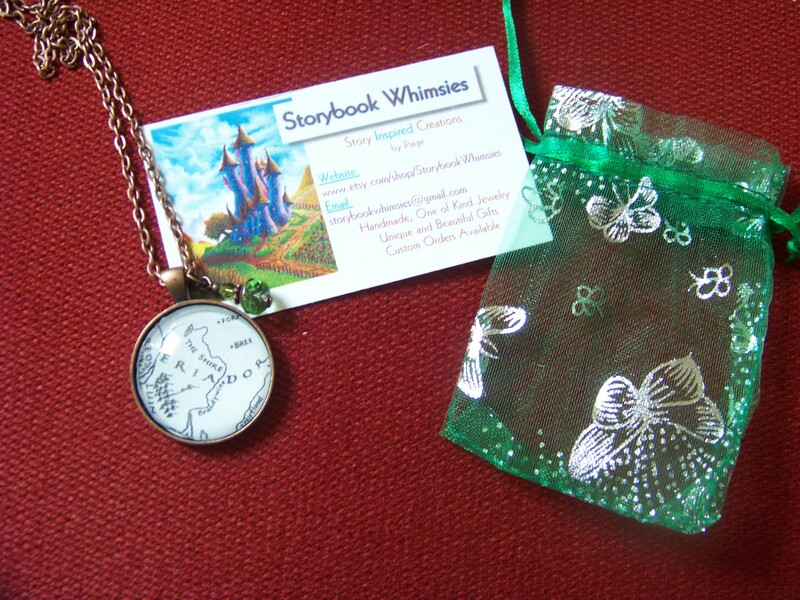 Shop Description (taken off the shop site): “Welcome to Storybook Whimsies! My handmade jewelry is inspired by fairy tales, stories, and books, as well as the other fantastical and whimsical things in the world around us. 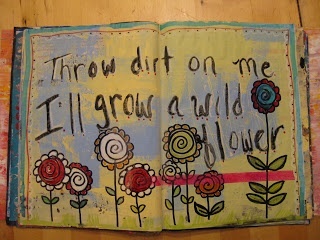 My book page jewelry lets you carry a piece of your favorite stories with you wherever you go! 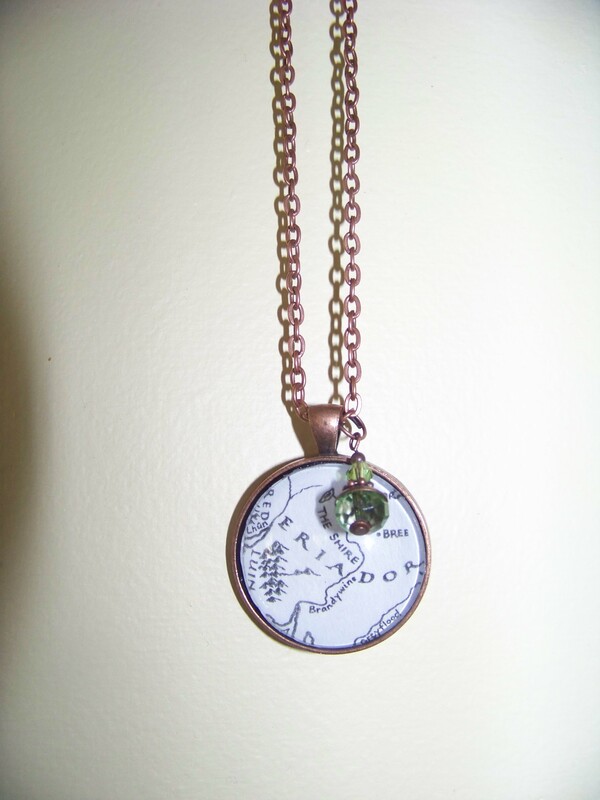 My bird nest jewelry and other charming trinkets are fun and whimsical! I hope you’ll find something that makes you smile! “The Shire” from the beloved classics of J.R.R Tolkien, Lord of the Rings. I am really a lover of necklaces – I don’t wear much jewelry, but I do wear necklaces (and my purity rings) and I am definitely in love with this necklace. One of the things I love about it, is it’s a unique piece. All the necklaces I own are all unique and individual in their own way, and I am very pleased that this one is likewise! The necklace is heavy-duty, and it feels very secure and comfortable around my neck. The clasp is a nice one too, though I can just slip the necklace over my head. The chain is aprox. 24 inches long, and hangs at a comfortable length I think. You can request any size chain length, too, by the way. I greatly encourage you to check out the shop as well – I’m sure you’ll be able to find something you like! Thank you so very much, Paige, for allowing me to do this, and for being so kind and patient as we discussed it! God bless you richly! 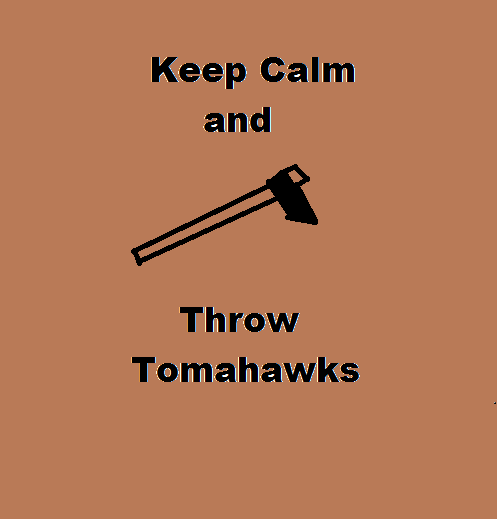 Note: All thoughts stated here are my own; honest and unbiased. I was not paid to review this item. This shop sells hand-stamped, personalized jewelry, from necklaces to key chains and pet tags in between! The shop ships from Canada, and she makes the requested item in 3-5 days and ships them the next. Good service! Photo credit goes to Etsy shop, Little Personalized Pieces. The necklace is very light-weight; both the necklace pendant itself and the chain, which I like a lot. I’m so used to my heavier necklaces so at first I was worried it might break, but upon inspecting it more, I don’t believe it will! It seems very well crafted and well-built, so I don’t need to worry about it breaking. I was (and am) quite impressed by how nicely stamped it is. I have tried hand-stamping before and it is a bit difficult to get all the letters to align correctly and look nice! 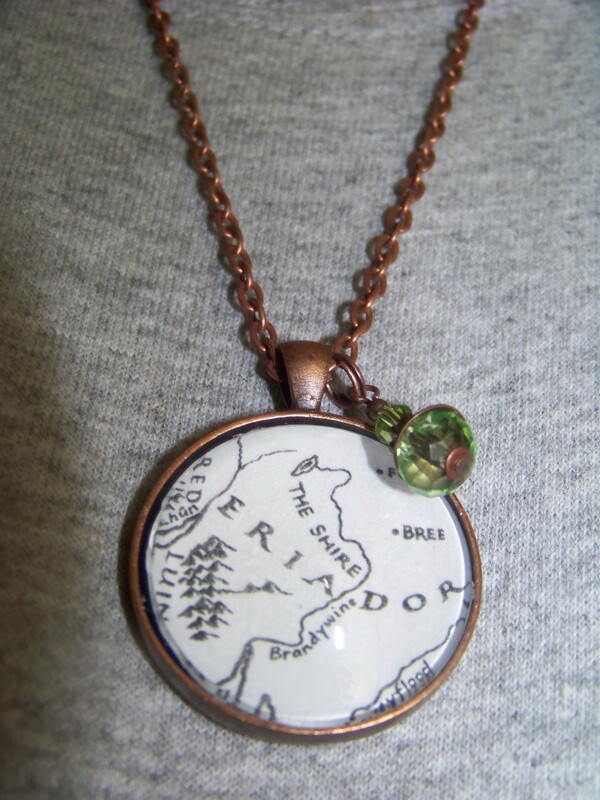 This necklace is beautifully done. When the shop-owner agreed to allowing me a product review, I was thrilled for more reasons than one. You see, I have been dealing with some “issues of the heart” and the Lord recently brought me to the stage where I can fully trust my heart in His hands. 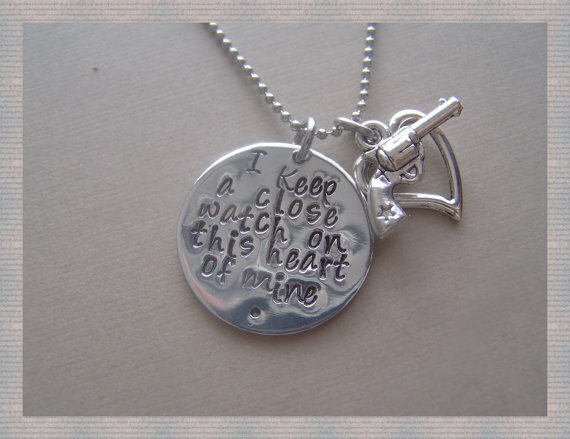 Thus, “I keep a close watch on this heart of mine” has more meaning to me! God has shown me how valuable our hearts are to Him, and how we must guard them, as Proverbs 4:23 says, “Keep [guard] thy heart with all diligence; for out of it are the issues of life”. 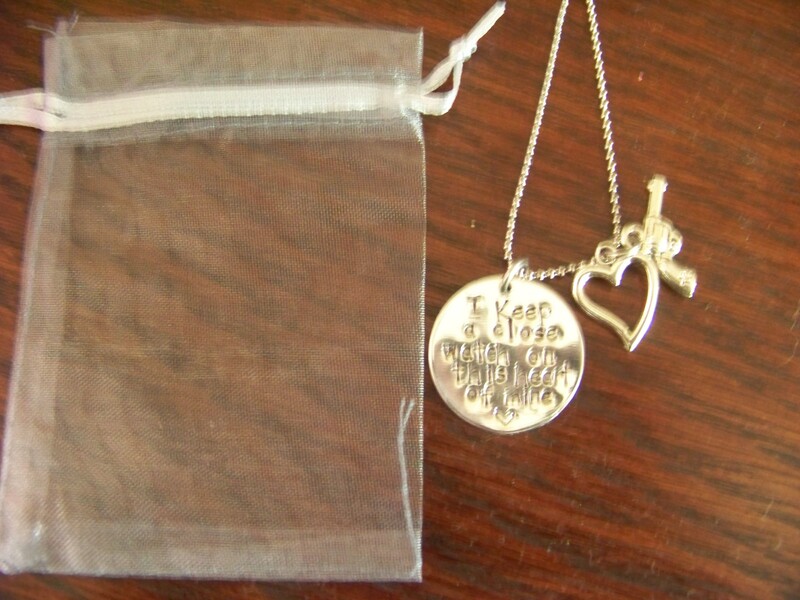 This necklace is a blessing to me, and I greatly appreciate the shop owner allowing me to do this product review and providing me with the complimentary necklace! Thank you so very much, Nicole, and God bless you!